Although postings to the Blog might suggest otherwise, Ride the North 2014 didn’t finish me off. It wasn’t even the end of a blossoming cycling career However, in retrospect, it did mark the end of a phase of my life. The year after my Heart Attack was one of significant change. Fortunately it concluded with everything in much better shape than when it started. Although I tried to look forward and “fight”, I think there was a considerable amount of “flight” in the mix. I think I proved something to myself by successfully concluding my first summer of cycling. The fear slowly dissipated over time. … and so I gave myself a break. Despite taking things a little easier, I have continued to be active and keep fit I have also managed to maintain some of the better habits I developed. I’ve started 2016 in better shape than I was a year ago, and I’m excited about taking on some more physical challenges (some familiar and some new). Occasionally I receive emails from people who have stumbled across the Blog, have recognised some similarities or warning signs, and decided to do something about it. I’m really happy to be able to make a difference, even a small one. As a result, I’ve decided to start posting a bit more regularly, even if it’s just to let people know that I’m still here. This entry was posted in Cycling, Exercise & Fitness, Heart Attack and tagged Cycling, Getting Fit, Heart Attack, Ride the North on January 9, 2016 by Paul Squire. Fortunately it wasn’t raining when we got up. Having had torrential rain for most of the night it was a relief to be able to get up and pack up before it started again. The night had provided a few hours’ sleep. A combination of the strange bedding, makeshift pillow and sounds of nature had interrupted what should have been a great sleep. On the positive side, the sound of the rain had masked the sound of snoring being generated by my fellow campers. As we made our way to breakfast, the exertions of the previous day were still fresh in our minds and our bodies. It promised to be a slow start to the day. The rain resumed as we prepared to leave. It was an almost constant companion for the day. Clothing was a tough selection; the weather was wet and warm. 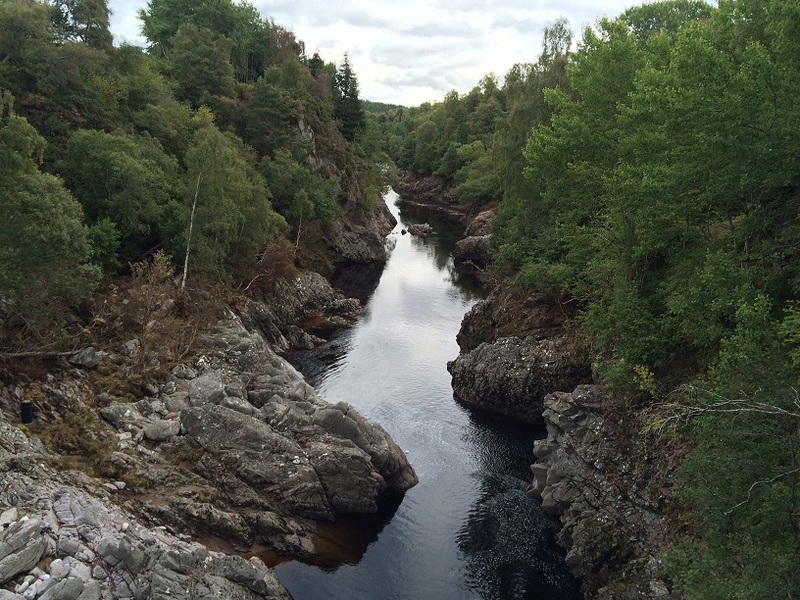 Although on paper the route was easier than the previous day, it featured two challenging climbs; Cabrach and the Suie. I was keen to operate well within myself during the morning session. I wasn’t feeling particularly special, and I was keen to make sure I had some gas in the tank for the challenges of the afternoon. The Cabrach however didn’t offer anywhere to hide. For me, it was a long, hard slog of almost an hour in total. I just had to keep my head down and keep plodding away. 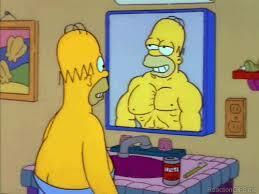 Fortunately motivation was high, partly generated by personal pride and partly by the presence of other participants. Lunch was a welcome break! The Suie was a different beast altogether. There was a lot of hype about the climb; it is relatively short but the sharpest we would have to contend with. I haven’t had to walk up a hill in a long time, but the thought certainly entered my mind as I trudged my way up. The fatigue of the previous 140 miles certainly made itself known. For me, one of the satisfying aspects of Ride the North is the fact that my heart health wasn’t really a factor. Over the past year I’ve got myself fit enough that the cycling 170 miles over two days was well within my capability. The only exception to this the ascent of the Suie; my heart rate monitor was certainly a factor during the climb. During the ascent my heart rate got high enough for me to want to reduce it a little. Walking was obviously an option, and one that my legs would have appreciated too, but it wasn’t what the ride was all about for me. Instead I dropped in behind someone who seemed to be struggling more than I was, and kept tapping away on the pedals. I was slowly able to bring my heart rate down. The climb was very slow, but I made it to the top. With the Suie behind us, the sun came out (very briefly) and we made our way home. I thought one of the remarkable aspects of the event was the general level of preparedness of the participants. Although the field was made up of men and women of a wide range of ages and physiques, everyone seemed to be fit and thoroughly prepared. It was an absolute pleasure to be part of such a strong, good natured field! Particular thanks must go to the two ladies that towed us the last few miles home. Having flirted with an over-taking move, we quietly tucked in behind and took their lead to the line. After 12 hours in the saddle it was a relief to be able to sit in behind two such strong riders. We politely dropped off to allow them to take the adulation of the crowd at the finishing line as the heavens opened once again and we rolled over the finishing line… Ride the North, done! Before the final leg, and the final downpour… almost there! The wet weather on day 2 meant my phone stayed safely in its waterproof bag for most of the day. The good news is that it still works but unfortunately I hardly took any photos! This entry was posted in Cycling and tagged Cycling, Cycling in Scotland, Ride the North, The Suie on September 1, 2014 by Paul Squire. As we relaxed after the “all you can eat” barbeque, it was amusing to watch people gingerly rising from their seats and meandering, cowboy-style around the room. A hard day in the saddle had taken its toll and weary limbs were making their presence known. Bed was calling. 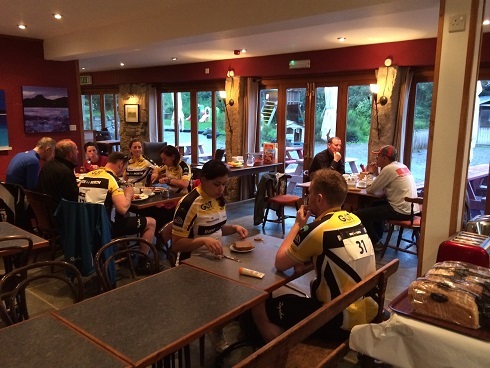 Day 1 of Ride the North had been successfully negotiated, 89.8 miles down, 81.5 miles to go. The day had begun with a clumsy walk across Inverness to the starting point at Eden Court Theatre. The decision to make the trip on foot rather than in a taxi turned out to be environmentally friendly, and cost efficient but naïve. Concerns of traffic congestion proved to be unfounded. The large volume of luggage, including a bike bag and two bicycles, was unwieldy resulting in slow progress. The walk was however mercifully short and dry. Nerves at the start line were compounded by a late bike delivery from Aberdeen. Fortunately for us, the rogue trucks arrived around 15 minutes before our allotted start time and we were able to get away on schedule. 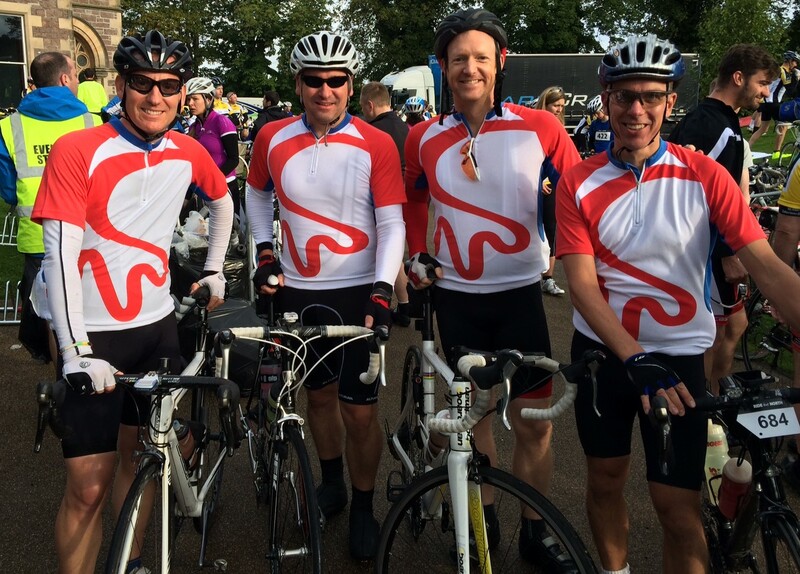 Supporting the British Heart Foundation… ready to roll! A local pack of Cub Scouts had kindly agreed to erect our tents on behalf of the Ride the North participants in advance of our arrival in Elgin. Unfortunately, our tents were safely hidden in our bags, where they’d be when we arrived at the finish, adding a further minor challenge to our day; tent erection… Joy! The ride had a tough start. It was a relief to reach the first refreshment stop. We had only done 27 miles, but they were tough miles and the variety of tasty snacks, energy boosters and drinks were extremely well received. It definitely wasn’t a time to be watching the waistline! The route was fantastic; taking us through some of the best scenery Scotland has to offer. It was matched only by the warmness of the welcomes from the communities we visited during the trip. The applause from the small crowd in Boat of Garten as we rolled in for lunch was enough to warm the heart before the “fine” soup warmed our bellies. By lunchtime, anyone who had underestimated the scale of the challenge they’d taken on may well have been regretting it. A cheeky headwind across the moor had ensured we earned our food. The afternoon drifted by. We were in a rhythm. I was starting to become accustomed to switching my mind off and following the wheel in front, or tracking cyclists further down the road. When separated from our group, the ride was broken up by brief conversations as people drifted passed… a major part of the experience. Variable paces meant it was common to pass / be passed by the same people on multiple occasions during the day. 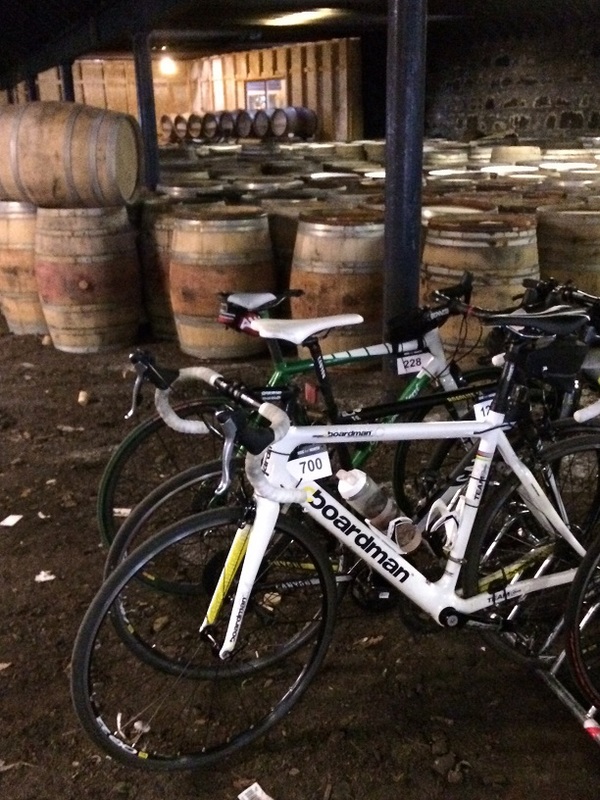 We eventually arrived at the Glen Moray Distillery to, again, be greeted by a warm welcome both for ourselves and our bikes. Weary and hungry, all that stood between us and the barbeque was the small matter of pitching the tents. 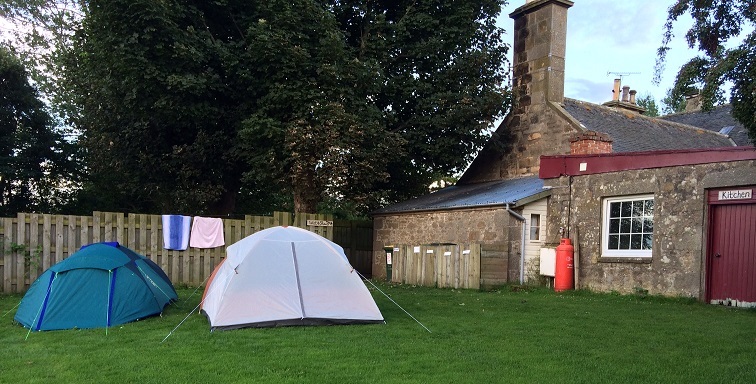 Overnight accommodation… for one of us at least! As it turned out, tents are a lot simpler than they used to be. Fortunately! The biggest threat to our wellbeing wasn’t a lack of shelter, but the bane of many a Scottish tourists existence… midges! Tip: Insect repellent, then tent. Not the other way around! Still dressed in my cycling kit, I have a line just above my knee where the bites start and continue to the ground. 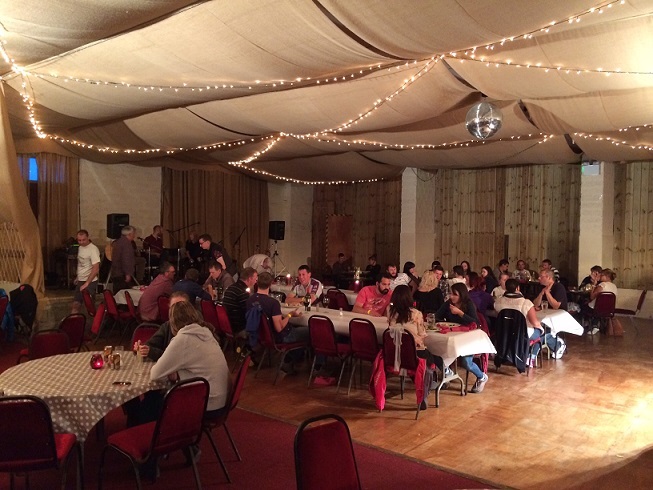 It’s not much, but we like to call it home… for one night only! Things could have been a lot worse… we’d safely completed the ride, we had somewhere to sleep, food was being cooked and we’d managed to stay dry all day. Definitely time for a beer! 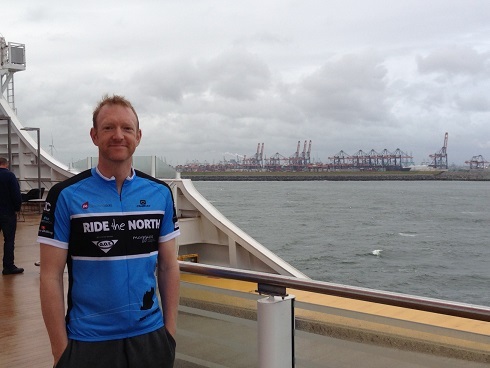 This entry was posted in Cycling and tagged British Heart Foundation, Cycling, Cycling in Scotland, Ride the North on August 31, 2014 by Paul Squire. I arrived in Inverness with a distinct sense of anticipation, the excitement was palpable, Ride the North weekend has finally arrived (and as an added bonus, it’s not even the weekend yet!). The train from Aberdeen was filled with people rather like us; small groups of slightly dishevelled looking middle aged men (mostly). We were the latest in a steady stream of people to make this pilgrimage. 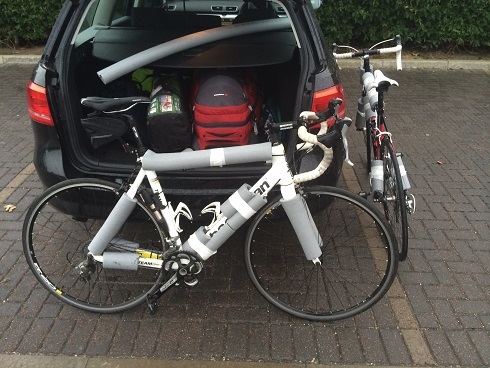 Having placed our precious bikes into the care of the Ride the North support team, we travelled north independently. All being well, we will be re-united tomorrow morning to start our journey back home, but for the time being each of us will carry a feint sensation that something’s missing. Not everyone has travelled to Inverness by the same mode of transport. 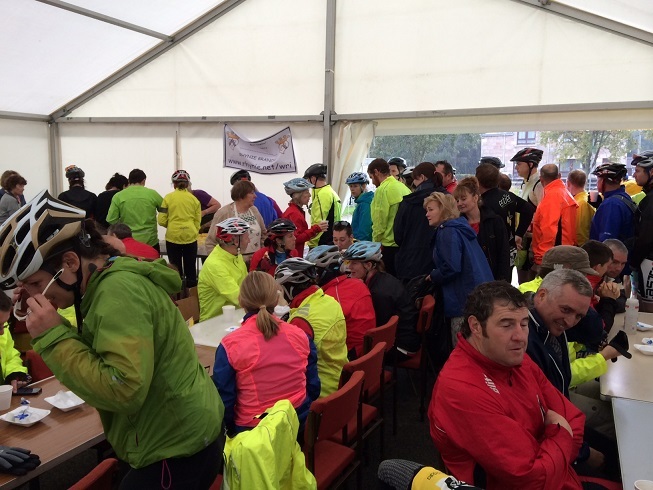 A hardy few had cycled up from Aberdeen, a 120 mile prologue to the main event. I have to admit to a slight tinge of envy. For some people, myself included, Ride the North represents a major challenge. We will push ourselves to new levels of endeavour. How I’d love to be able to do a hard days cycling in advance to prepare myself for the nice sociable cycle ahead. Next year perhaps?! The weather has already been changeable: a miserable, wet morning in Aberdeen was replaced by a beautiful, warm evening in Inverness. Tonight’s accommodation in the relative luxury of the Royal Highland Hotel will be replaced tomorrow evening with a tent in a field. The cycle will quite literally be a series of ups and downs as we take on the undulations of the Scottish Highlands. I’m sure our ride will be accompanied by a roller coaster of emotions. We’ll be amongst over 600 fellow cyclists, but I’m sure there will be moments when we’ll feel very alone. We’ll all be doing something with which we’re very familiar, but at the same time heading into the unknown. As subsequent waves of people arrived in Inverness this evening, the city continued to fill with anticipation. The pubs are resonating to the stories of hills conquered, and those that lie ahead. In a lot of ways, the extremes will make the event; I just hope everyone ends up in one piece and with a smile on their faces! Good Luck! 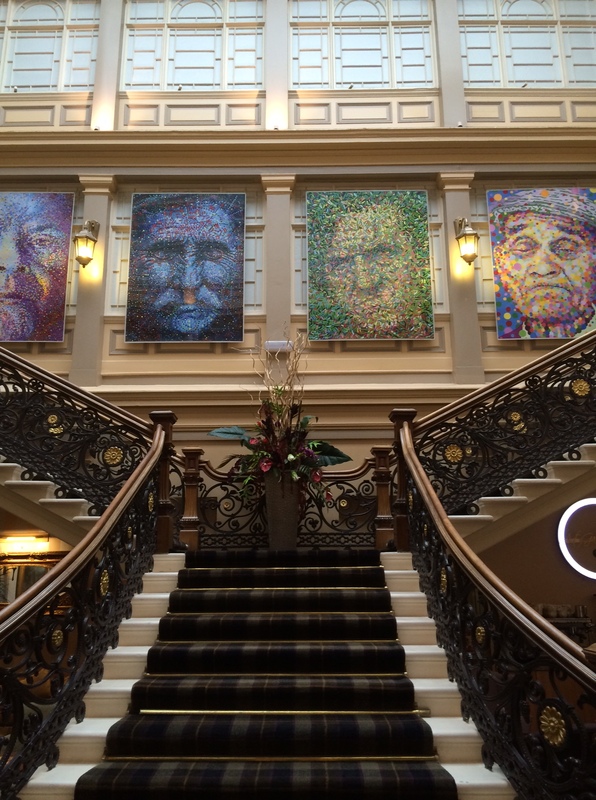 This entry was posted in Cycling and tagged Cycling, Cycling in Scotland, Inverness, Ride the North, Royal Highland Hotel on August 28, 2014 by Paul Squire. It’s less than seven days until we head to Inverness for the start of Ride the North. Fort me, this is the culmination of a year of cycling; it started with a tentative 17 mile flat outing (one eye on the road and one eye on the Heart Rate monitor) and will end with a challenging 2 day, 170 mile cycle through the rolling Aberdeenshire countryside. Overall, I’m surprisingly relaxed about the trip. I’m relatively confident that I’ve done enough preparation so the miles don’t really worry me. I’ve done a lot of solo miles recently so I’m very much looking forward to cycling in a group, and I’m excited about taking on the challenge with friends. So, I’m generally OK with the hills, in fact I look forward to them, but the first one out of Inverness is a concern for me. The profile of Ride the North Day 1… and “that” hill! If you’ve been to Inverness you’ll know there are lots of hills around. Loch Ness was carved by glaciers, and they didn’t stop with the loch. As a result, after about 5 miles we have to take on a hill. It’s difficult to really tell on a route profile, but it looks significant, not the most challenging hill of the event, but it’s so close to the start it’ll be right on us. It doesn’t really give us much time to warm up… it’ll be interesting. I guess the good thing with being concerned about the first hill is that I’ll get it out of the way quickly. If I was concerned about the last hill I’d have the best part of 2 days to worry about it. We’ll spend more than 12 hours in the saddle over the course of the event. That’s a fair amount of time in the best of circumstances. Given we’re in the North East of Scotland, it would be naïve to assume we’ll experience the best of circumstances. Irrespective of how much you enjoy cycling, or who you’re cycling with, cycling in torrential rain when the wind is blowing a hoolie is not very much fun. Having studied a number of different sources, I’ll predict that the weather will be “mixed”. It will inevitably have a major impact on the enjoyment factor of the overall event, so we’ll all have to keep our fingers crossed! Looking for further adventure (and an easy, late accommodation option) we’ve “opted” to camp overnight while en route (just 1 night fortunately). Unfortunately glamping options were booked early so we’re in good old fashioned, on the ground, “at one with nature”, tents. As far as I can remember this will be my second experience sleeping under “canvass”. My previous camping trip was while I was at school, in Snowdonia. On that occasion the weather was glorious and we spent the week outside. My abiding memories are of beautiful weather, swimming in rivers and lakes and a famous (if you were there) “hands on the A-Poles” wind-up by the teacher in charge. I’m concerned that for this trip the tent may be one step too far. 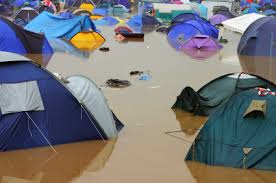 It’s a bit of a “double-down” on concern #2: the camping experience will be heavily influenced by the weather. I suspect sleeping won’t be an issue as we’ll be tired from our day’s exertions, but the recovery from Day 1 and preparation for Day 2 could be challenging! All in all, it’s going to be an short, exciting week for me and the other 600+ people participating in the ride… wish us all luck! 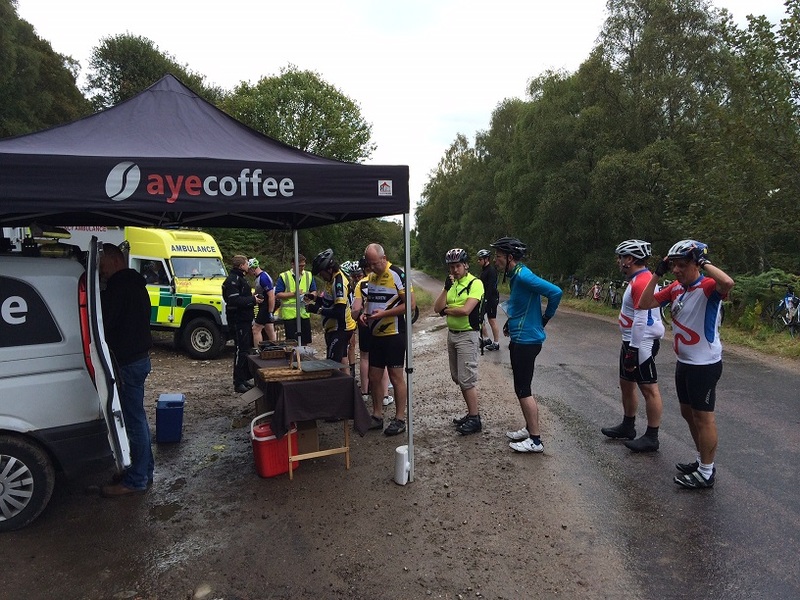 This entry was posted in Cycling and tagged Camping in Scotland, Cycling, Cycling in Scotland, Inverness, Ride the North, Scottish weather on August 23, 2014 by Paul Squire. The summer has brought a change of routine for me. My established routine was rudely interrupted by a couple of weeks rest and relaxation. Since I’ve been back I have fallen into a new, arguably more balanced routine. Fortunately I’ve been exercising more regularly than I’ve been updating my blog. Although I’ve not been training at the same level of intensity as I was earlier in the year, I have managed to maintain my level of general fitness and my weight. My exercise regime has become more rounded again. I have returned to the pool and I‘m combining regular swims with cycling. Unfortunately I’m still a sinker rather than a floater; my break from the pool has not magically resulted in a step change in my buoyancy. 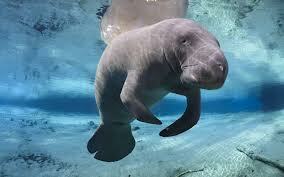 I can’t swim any further but I do feel more comfortable; the minor drowning panics have become more occasional. I’m really enjoying the variety and I think it’s better for my body. Work has become more demanding, but in a good way. I am travelling more frequently, but not excessively and I’ve been testing the leisure facilities at a variety of hotels. The days of Club Sandwiches and Fries washed down by a beer seem like a lifetime ago! Generally I guess I’m just more aware of the various different aspects of my life, and work hard to make sure the “good” ones significantly outweigh the “bad” ones. It’s taken over a year to get to this point, but I feel more relaxed and in control of things. I’m really glad that I’ve signed up to the “Ride the North”. The two-day, 170 mile cycle from Inverness to Aberdeen is only three weeks away now. It’s been a target for me since I finished the Euro City Cycle back in May. It’s removed any slight temptation to kick back and take things easy. Day 1 of the event is 88 miles (further than I’ve ever cycled in a day) and it starts with a challenging climb out of Inverness. I’m a little anxious about the climb. I’d like to take the whole ride in my stride, and I know the only chance of doing that is to keep fit and keep up the miles. It’s going to be another exciting few weeks. It’s not quite the Commonwealth games, but Inverness here I come! This entry was posted in Exercise & Fitness and tagged Cycling, Cycling in Scotland, Heart Attack, Ride the North on August 6, 2014 by Paul Squire. Ride the North is a two day, 170 mile cycle challenge through the beautiful scenery of the Grampian Highlands in the North of Scotland. The route will follow the scenic back-roads through the Grampian Highlands between the cities of Inverness and Aberdeen. The 2014 ride will take place on Friday 29 and Saturday 30 August. 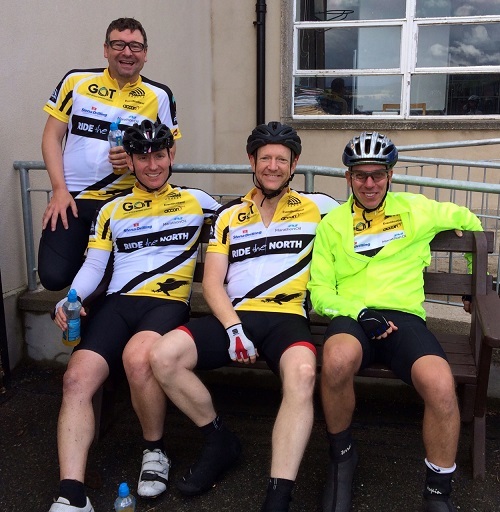 Ride the North 2014 work closely with their charity partners and, as always, looks to celebrate the best of what the North-East of Scotland has to offer including hospitality, community and camaraderie (banter is guaranteed!). It’s not a race nor a sportive, it a challenge ride which celebrates the love of cycling and the scenery in this part of Scotland. The ride welcomes everyone – whether you are fundraising for the charity partners, your own charity or simply taking part for the fun of it. 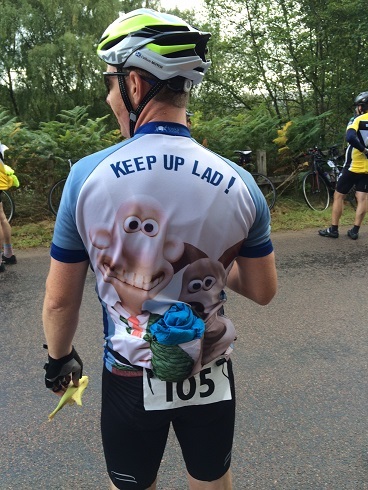 It’s is a supported ride, with mechanical support, support vehicles, route signposting, lunches provided, mobile coffee stops, refreshments, luggage transfer, transfers from finish point to local accommodation and all the encouragement you will need! This entry was posted in Charity Bike Ride and tagged Cycling, Cycling in Scotland, Euro City Cycle, Ride the North, Visit Scotland on May 8, 2014 by Paul Squire.